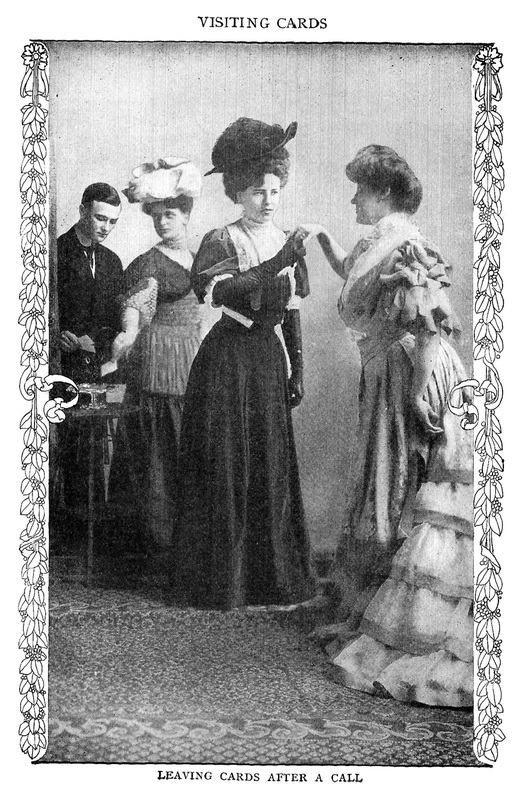 This black and white vintage photo is taken from an Edwardian book on etiquette. Socializing was much, much more formal 100 years ago. However, we still exchange business cards today and in a more formal way. I hope you enjoy!